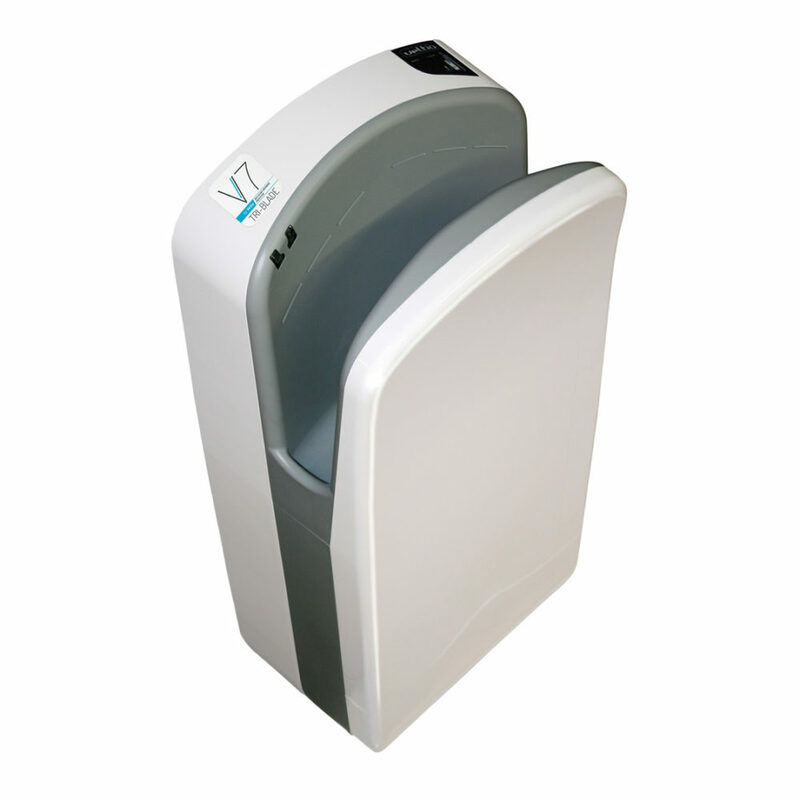 Compared to warm air dryers and paper towels, Veltia hand dryers ensure a speedy, more thorough and hygienic way to dry hands. They also solve the sanitary problems caused by empty towel dispensers. Veltia was founded in 2007 with a mission to revolutionise the hand dryer sector and focus on innovation, design and respect for the environment. The Spanish company founders had spent three years in research to develop a unique and market-changing hand dryer that is efficient, hygienic and with low environmental impact. Veltia is committed to the principle that best technology alone is not enough and needs to be blended with great design. The team works together to develop and deliver the best solutions that are unique and exclusive. The company designs hand dryer solutions that have a low dependence on natural resources, contributing to the protection of our shared environment. Trust in the Veltia brand is global – its hand dryers are sold in 79 countries around the world. This is reinforced with the company’s commitment to continual progress, searching for new solutions that support the three pillars of innovation, design and green commitment. 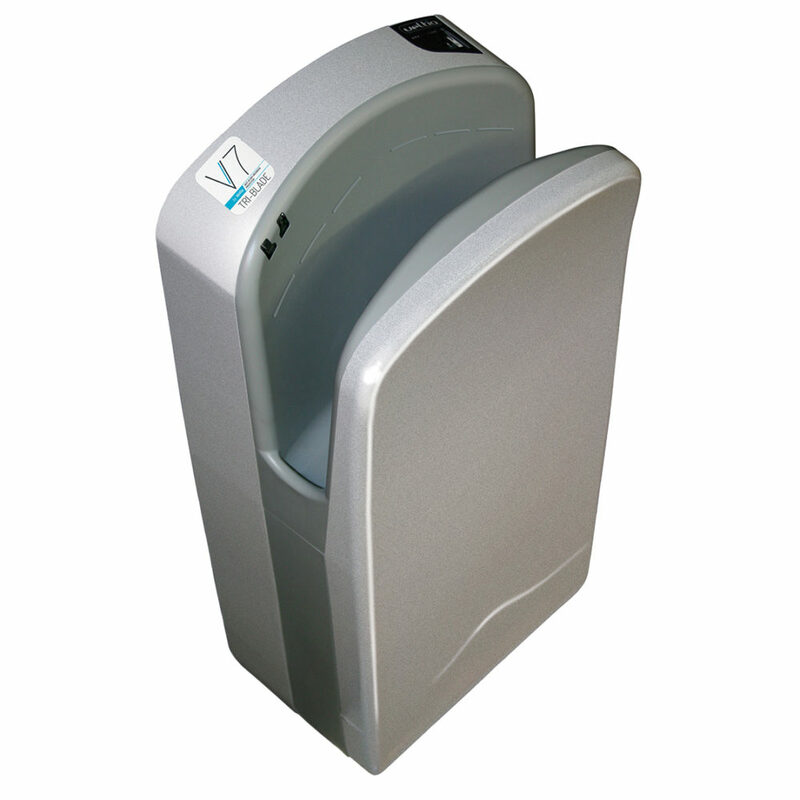 The eco-friendly Veltia hand dryers are clearly the best choice to reduce waste and pressure on the environment. This is backed up by university research that shows cold air dryers are much more green than paper towels. Research by the University of Massachusetts shows that paper towels (along with old-fashioned warm-air dryers) generate 70% more CO2 emissions than a cold air hand dryer. While the Veltia hand dryers draw power with each use, the overall efficiency is excellent and the MIT research took a “whole life” view of various hand drying products including materials, manufacturer, use and end-of-life. The comprehensive research also factored in towel dispensers, waste bins and bin liners along with transportation emissions, bearing mind the constant need for replacement towels. The research also discovered that recycled paper towels actually have the same negative impact on the environment as virgin paper towels, including water consumption and carbon emissions. And to make a tonne of paper towels, 17 trees are cut down and 20,000 gallons of water are consumed. 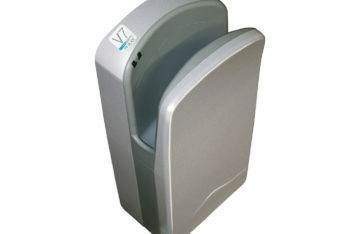 A quality hand dryer will ensure that over its full life cycle 24 fewer trees are felled and turned into paper towels. 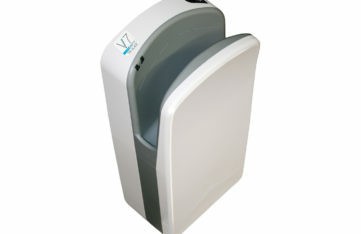 Veltia new generation hand dryers are equipped with Microban® Protection, which ensures excellent standards of hygiene. Microban technology provides continuous protection from microbes, adding a further layer of defence against the growth of bacteria that causes odours and stains. The washroom can be a breeding ground for micro-organisms – given the right conditions, bacteria can double in number every 20 minutes. Microban provides continuous protection. When microbes come in contact with the hand dryer surface, they are unable to grow and reproduce. Microban targeted antimicrobial protection is particularly useful in hard-to-access areas where cleaning may be difficult. As Microban antimicrobial protection is built into Veltia hand dryers during the manufacturing process – it works around the clock to help prevent the growth of microbes for the life of the product.